Maui Luau Listings and Help to Choose the Perfect Luau for YOU! Have you been to a Maui luau? Share your story here! Want to go to a luau on your Maui HI vacation? Here is a complete listing of all of the luaus in Maui, a guide to help you compare them and more! If you need some help to get you started in choosing one of the island's luaus, I recommend you check out my handy quick reference list of all the luaus in Maui: pricing comparisons, ratings and locations are included! Especially if you've never been to a luau in Maui before, I recommend you start by seeing one of the best on the island! Which ones are the BEST? Click here to find out about the 2 luaus that are most often called the "best luau in Maui!" The Feast at Lele has made it onto the top of my MUST-SEE list for my next Maui HI vacation! Click here to find out why! I've already booked our tickets, and I can't wait to tell you all about it once we get back! UPDATE: Well, we recently returned from another Maui, HI vacation, and we had the best time at the Feast at Lele! Click here to read all about our evening at the Feast at Lele, one of the best Maui luaus! Because the Feast at Lele gets so much attention, people often have questions about it. Check out my Feast at Lele FAQ's for answers to the most frequently asked questions. Not Sure if You Want to Check Out a Luau? 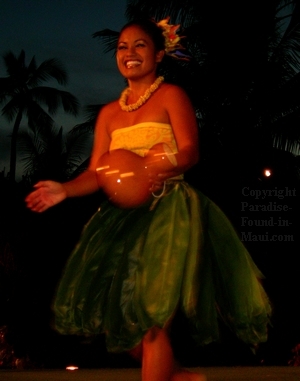 Have you been to a Maui luau that you loved? I'd love to hear about it, and I'm sure others would like to hear about it too! Share your story here! Have You Been to a Maui Luau? If you've been a Maui luau, we'd love to hear your story! This is the perfect place to share your funny story, interesting anecdote, or full review! And of course, since everyone LOVES photos, feel free to share a photo from your luau night too! Haven't been to a luau yet? Then bookmark this page and tell us all about your experience when you return from your Maui vacation! Click on the links below to see the Maui luau stories and reviews that other visitors have shared.